Unfortunately there’s nothing particularly exciting over North America at this stage, but the week ahead should see some blisteringly cold nights, perfect for dry snow and epic snowmaking. The cold weather, showing North America winter has really started and getting that ground nice and cold for the next big snow storms. If we could pick anywhere this week, we’d be: Wolf Creek we think. 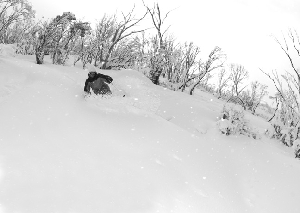 Not only did it get 88cm over the weekend, it’s base – 160cm is one of the deepest around. 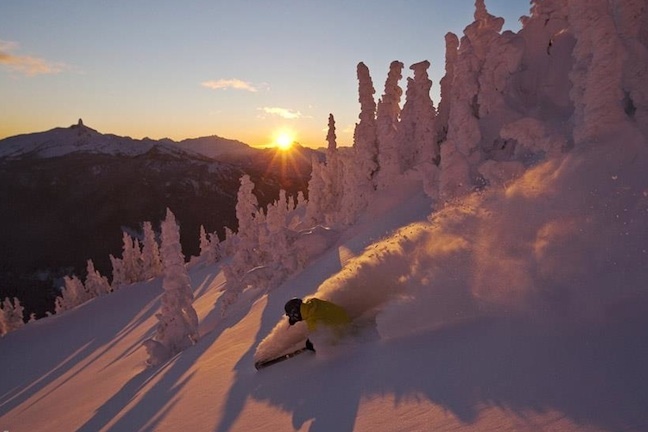 Status: The greater percentage of British Columbia’s resorts are up and running for 2011/2012. Whistler is at 70% open, Sun Peaks at 81% and Fernie at 98%! Recent snow: Whistler, in typical fashion, has already received over 3m of snow this season, 28cm of which has been in the last week. Interior BC has been similarly fortunate, with snowpacks well over the one metre mark at most resorts. Coming snow: Overcast skies offer some hope of freshies for the weekend, but as yet nothing significant is on the cards. Conditions generally: Fernie offered up freshies on Sunday, Silver Star delivered clear blue skies and a perfect groomed base. And Whistler is just getting better every day. Conditions are still early season, but not too bad for the first week in December. Highlights: There’s free skiing at Silver Star if you book your accommodation through the resort’s booking service, Fernie is celebrating its 50th birthday and Whistler has the most skiable terrain open in the world. BC is doing well. Status: All Alberta’s main resorts are operational and running at well above half capacity – Mt Norquay is fully open! Recent snow: With over 2m of snow so far in the Banff region, Lake Louise, Sunshine and Mt Norquay are all looking good. Snow has been falling all this past week, with a nice 10cm or snow overnight. Coming snow: There could be a few centimetres in the week long stretch of grey skies, but no storms have made themselves known as yet. Conditions generally: While it is still early season, the Alberta resorts are doing well with decent bases and frequent topups. 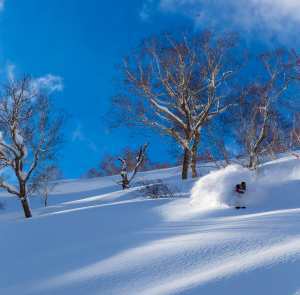 Status: Only a couple of the resorts in Ontario and Quebec have opened – notably Loch Lomond in Ontario and Mont-Sainte-Anne and Tremblant in Quebec, but those resorts are only running a few lifts and are less than 10% open. Recent snow: About 10cm in the Quebec resorts the past couple of days, but so far the season hasn’t really arrived on the east coast. Coming snow: Nothing on the horizon just yet. Highlights: Early season deals all round! Status: About half California’s ski resorts have opened for the season – notably, Mammoth, Heavenly, Kirkwood, Northstar and Bear Mountain. They’re running at about 10% – 15% open. Recent snow: No December snowfalls as yet for California, so the 80cm or snow that fell in November, and the late October snowfalls are carrying them through. Coming snow: Sunshine and cold temperatures are on the cards for California, so if it doesn’t fall from the sky they’ll certainly be making it this week. Conditions generally: It’s early season. 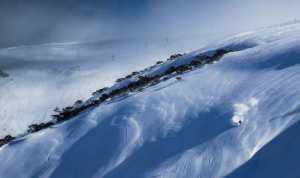 The resorts still have about a 40cm – 50cm cover at mid mountain. Mammoth, has about 60cm – 90cm. It’s groomers and quite a bit of man made snow all round. Highlights: Sunshine filled days and California-standard terrain parks mean the resorts are pretty nice places to be right now. Recent snow: It snowed around 20cm in the upper part of the state this last week, most of it over the weekend, giving Breckenridge, Vail, Aspen and the like some nice new snow. Down south ways though the weekly total is more like 75cm, giving Telluride and the rest of the San Juans some great early season pow. 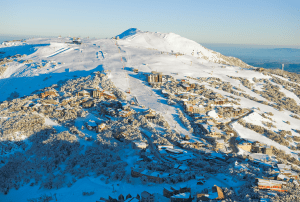 Coming snow: Nothing but sunshine on the forecast for most of the state this coming week, but super, super cold temperatures – like minus 26 degrees Celsius kind of cold, so epic snowmaking and some dry cover is to be expected! 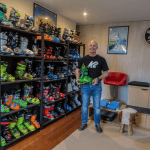 Conditions generally: It was a powder weekend, to a greater or lesser extent, across the state and with this cold weather that snow should be preserved nicely. Status: Building on last week, thanks to a helpful snow-dusting, the Utah resorts have opened more runs and turned on more lifts. At this point still only up to about 50% open. Recent snow: Somewhere in the vicinity of 13cm for the Park City resorts, and a little less for the Cottonwood Canyons resorts over the weekend, on top of the two or so metres for the season. Coming snow: Sunshine, clear skies and frigid temperatures are on the way, dropping down to the double minuses most days this week. 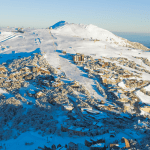 Conditions generally: The little weekend top up has settled on some decent December bases, especially at the Little and Big Cottonwood Canyon resorts, and the Park City resorts, with their perfect grooming and abundant snowmaking, are also glorious places to be. Highlights: Weekend powder, groomed perfection and some gorgeous cold sun-filled days to come. 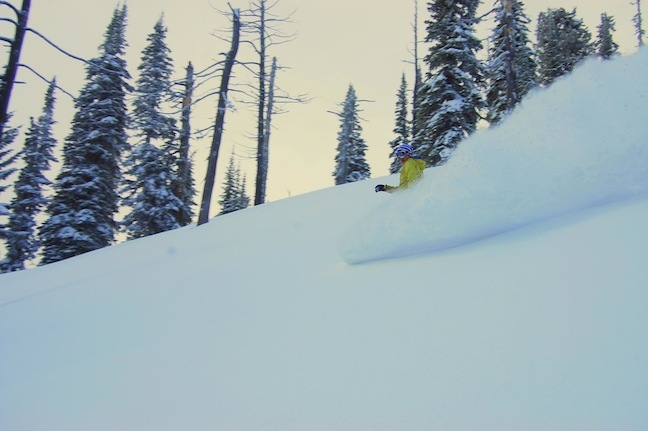 Status: About half the resorts across Wyoming, Idaho and Montana have opened; their terrain is anywhere from 10% to 90% up and running. Jackson Hole is sporting 50% open terrain but Big Ski and Sun Valley are both less than 20% open. Recent snow: About 10 – 15cm for most of the region over the weekend, with a handy 33cm falling at Montana’s Red Lodge Mountain. Coming snow: Does not look like there’s any snow on the way, though conditions are expected to be overcast so perhaps something will materialise. Conditions generally: With bases anywhere from 70cm – in Wyoming – to 140cm in parts of Montana (Red Lodge Mountain specifically) the conditions across the North West are varied. 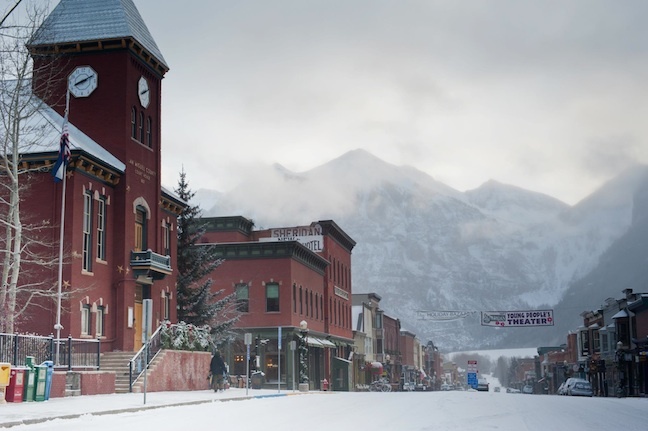 Highlights: This Red Lodge Mountain place, with all its snow, sounds like the place to be right now.